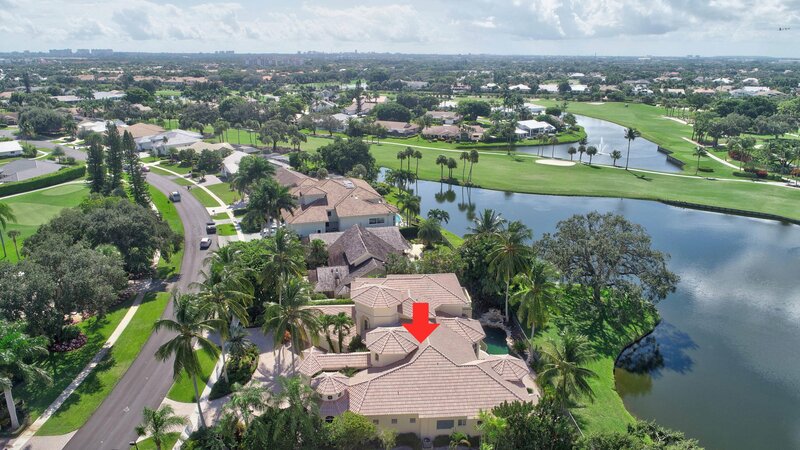 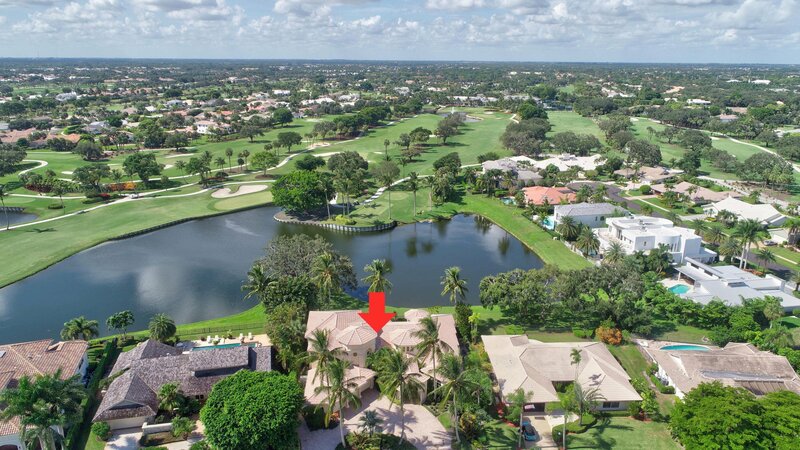 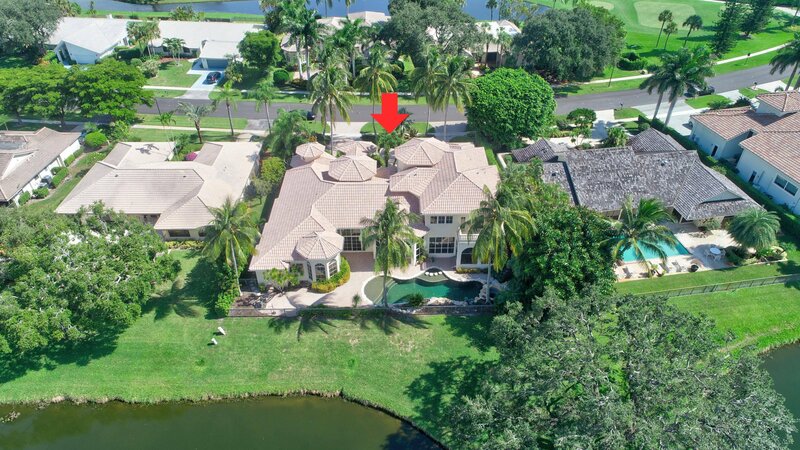 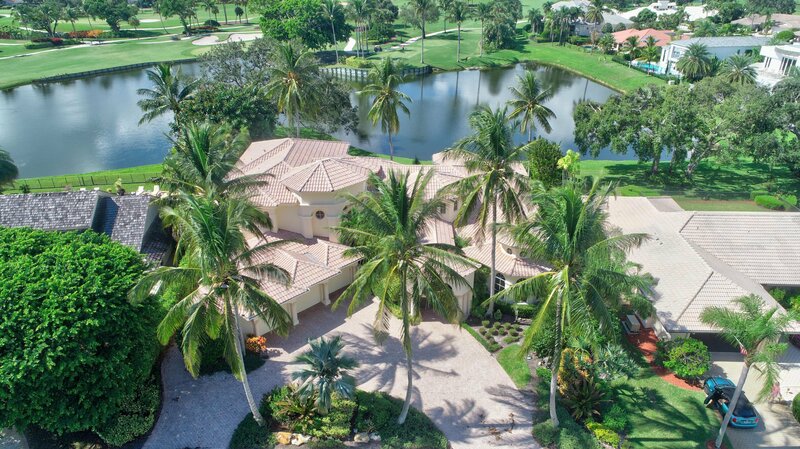 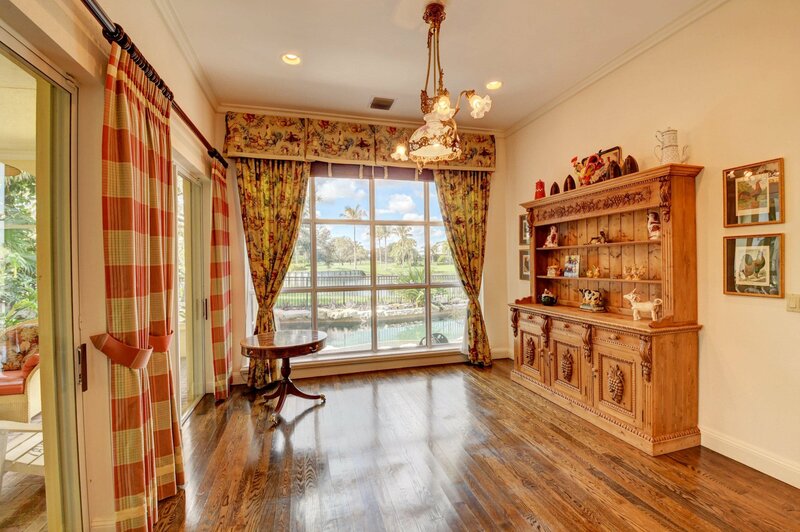 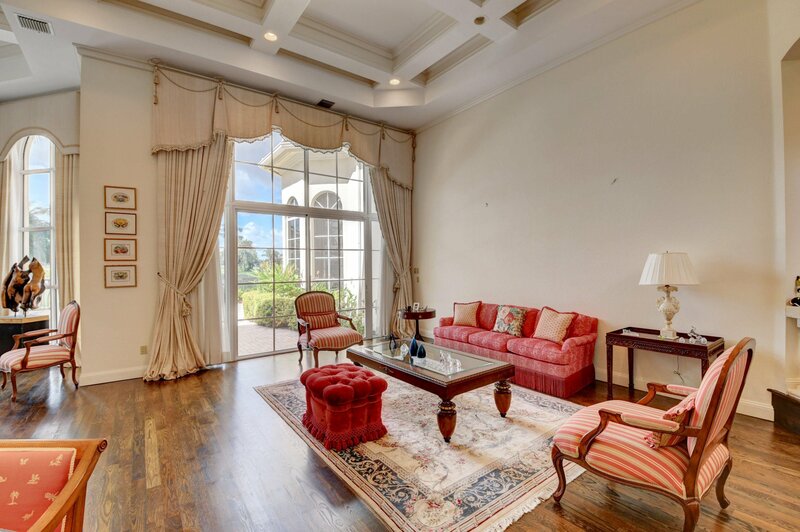 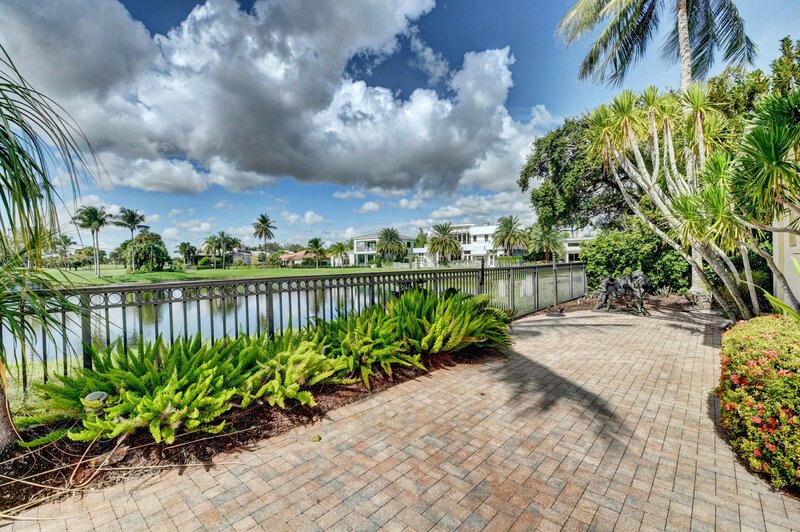 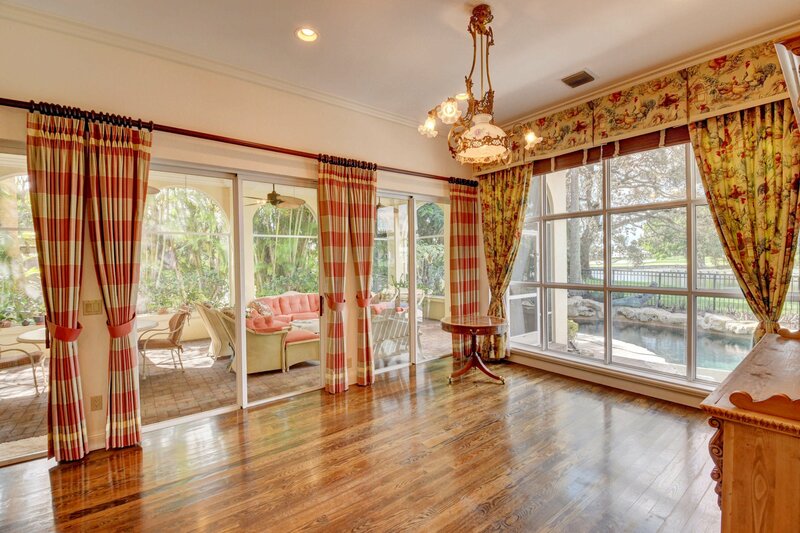 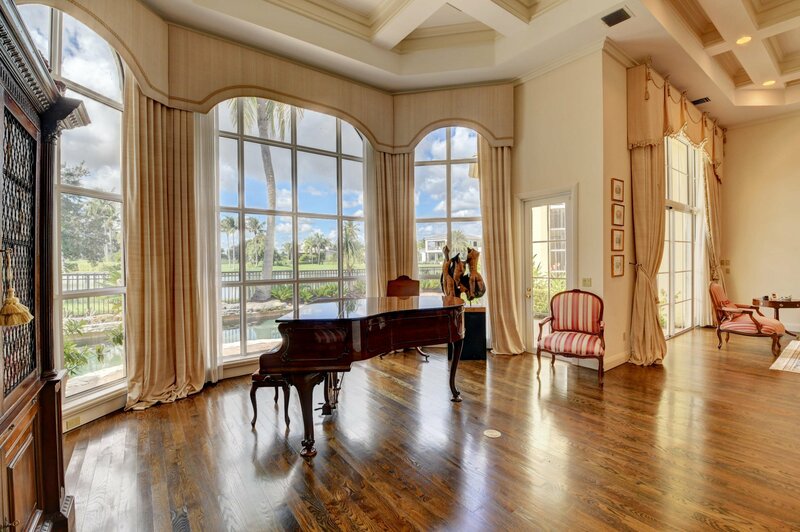 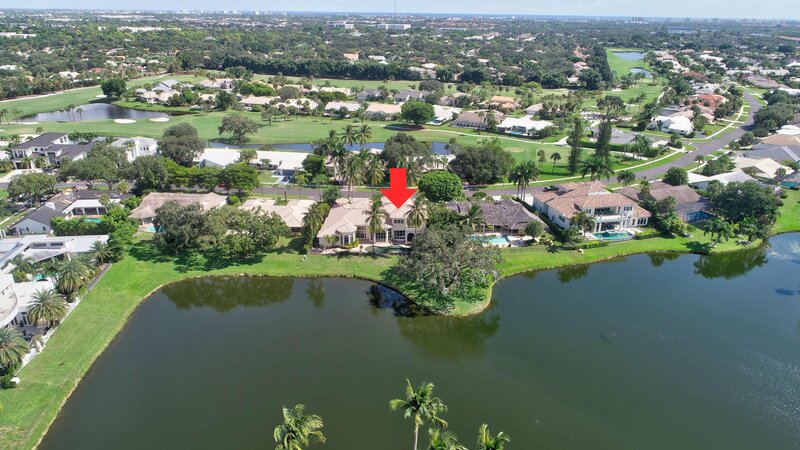 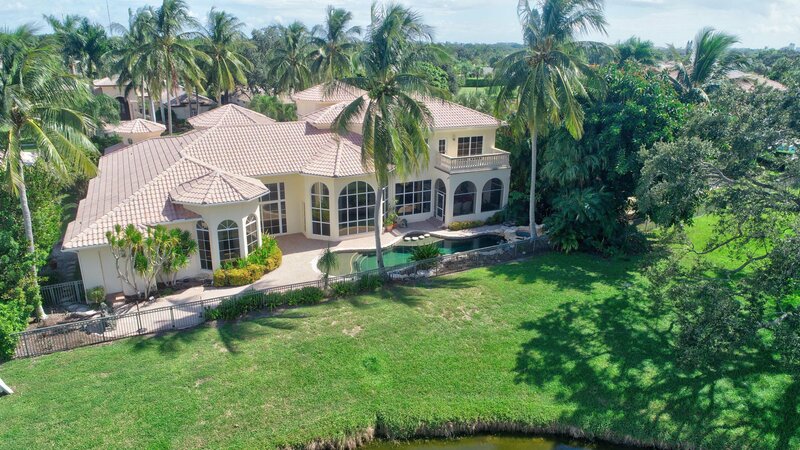 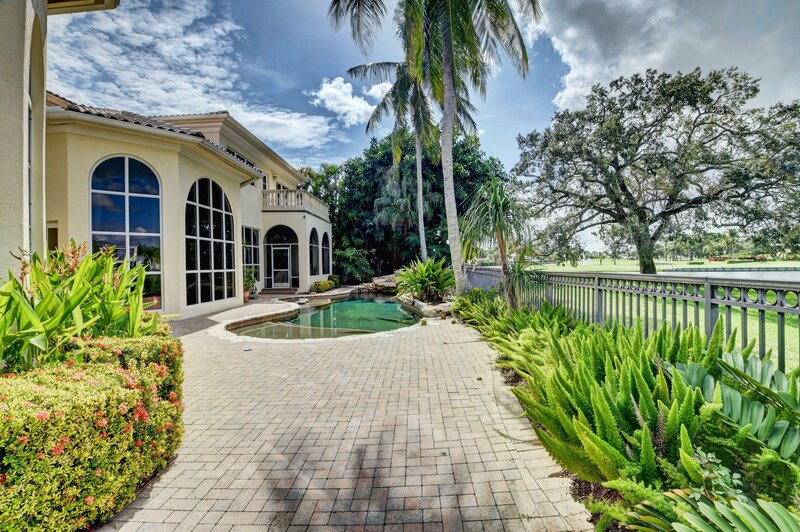 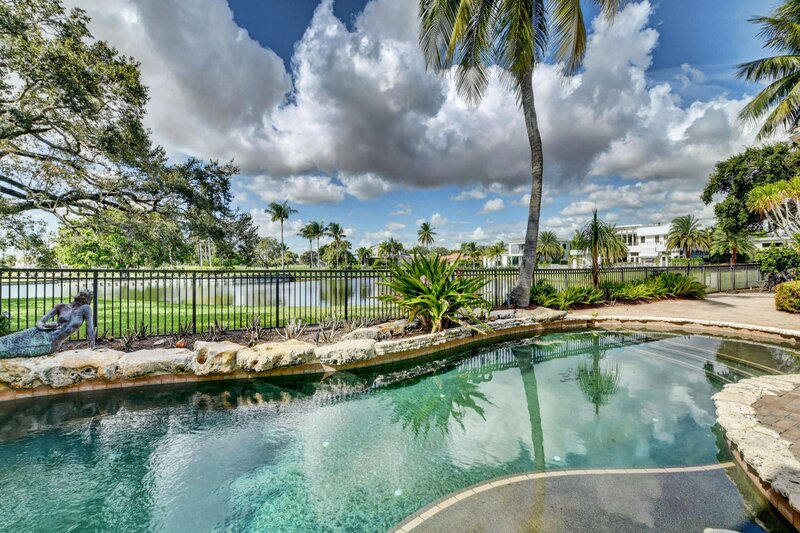 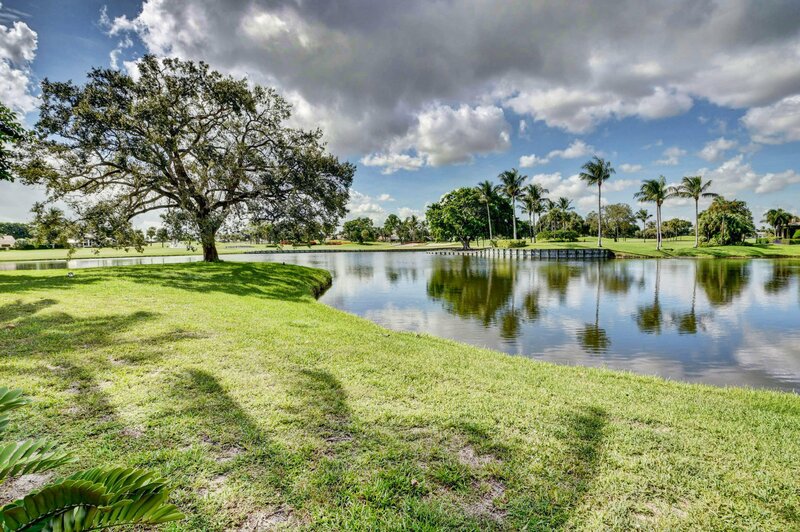 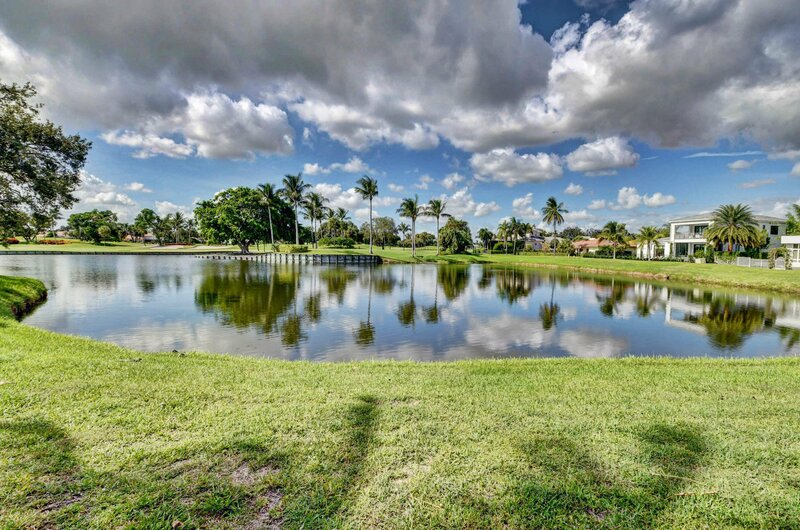 Situated on a gorgeous lot with panoramic water and golf views this classic and timeless homes boast over 5,518 square feet of living space located in Palm Beach County's highly desirable & centrally located Delaire Country Club. 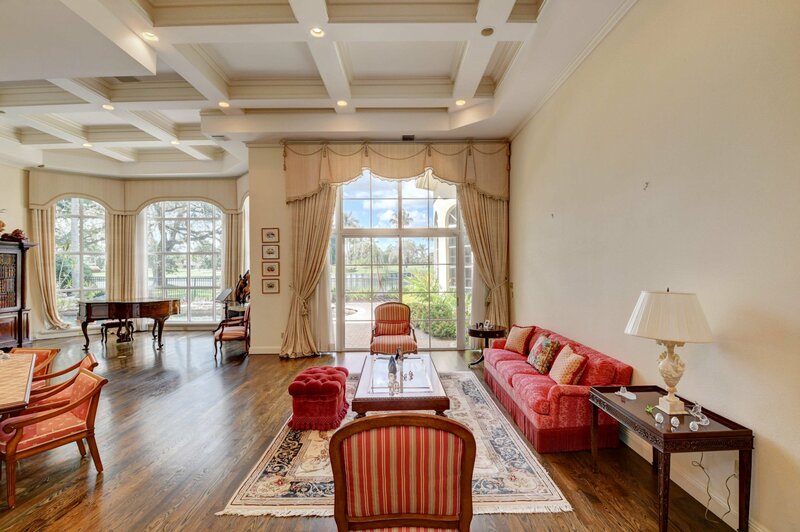 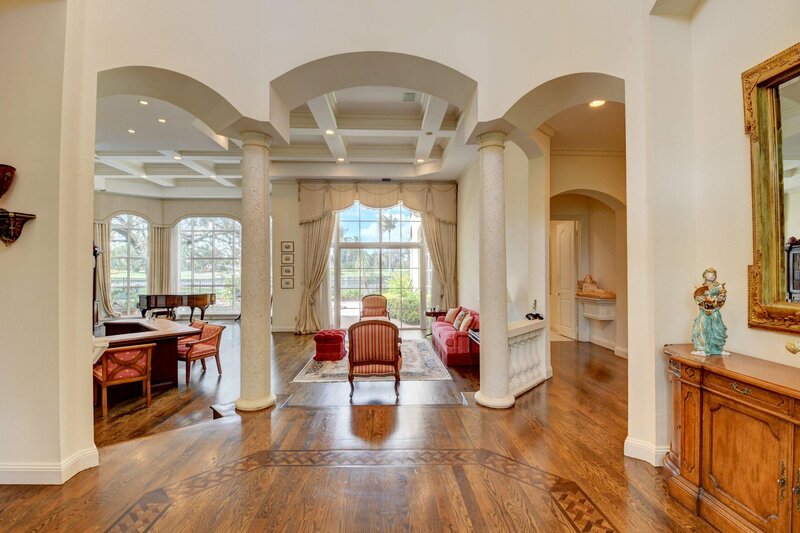 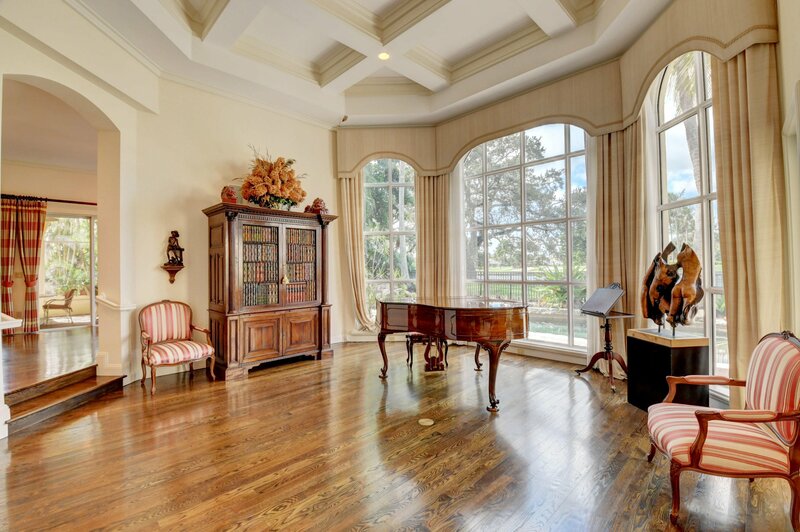 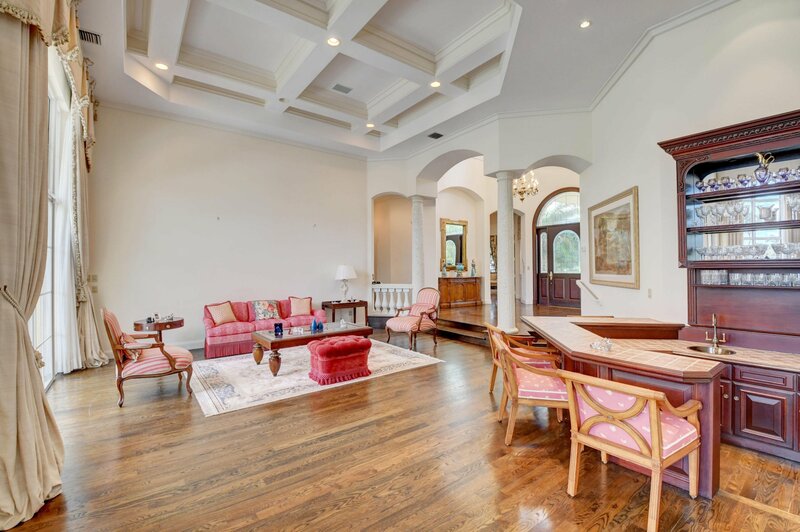 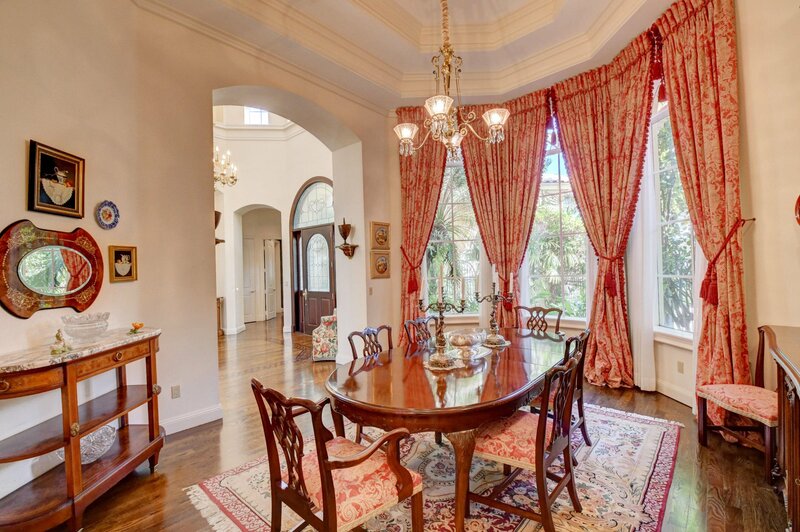 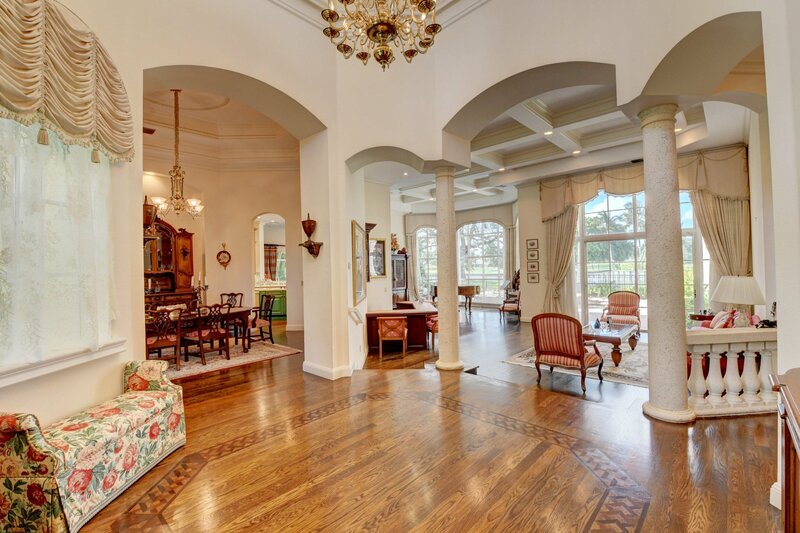 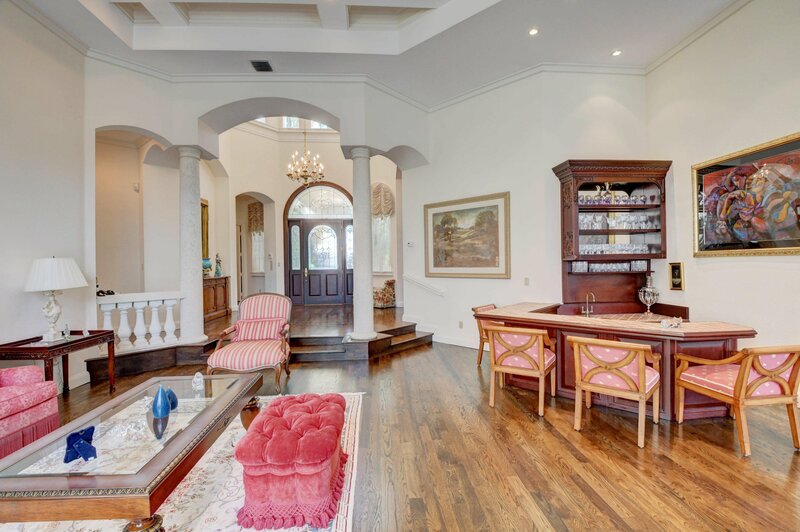 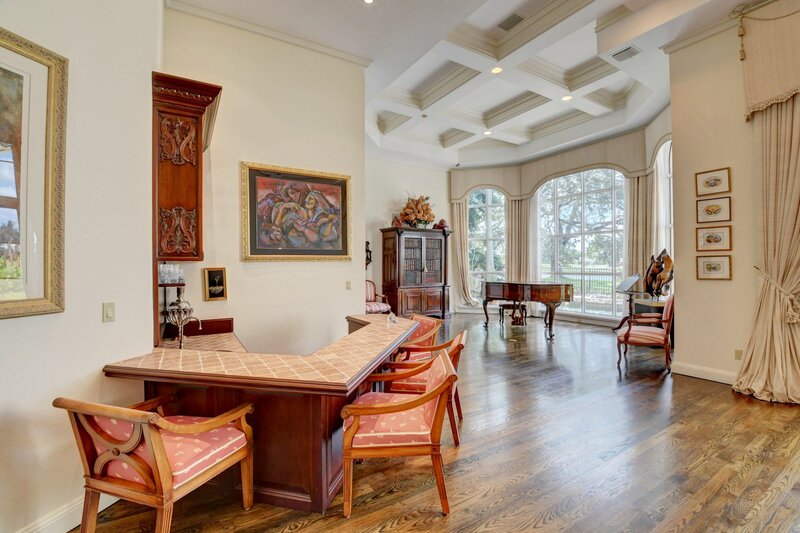 You are greeted by soaring two story ceilings, hardwood floors, coffered ceilings in living room, resplendent arches and columns with walls of windows capturing the magnificent views from every room. 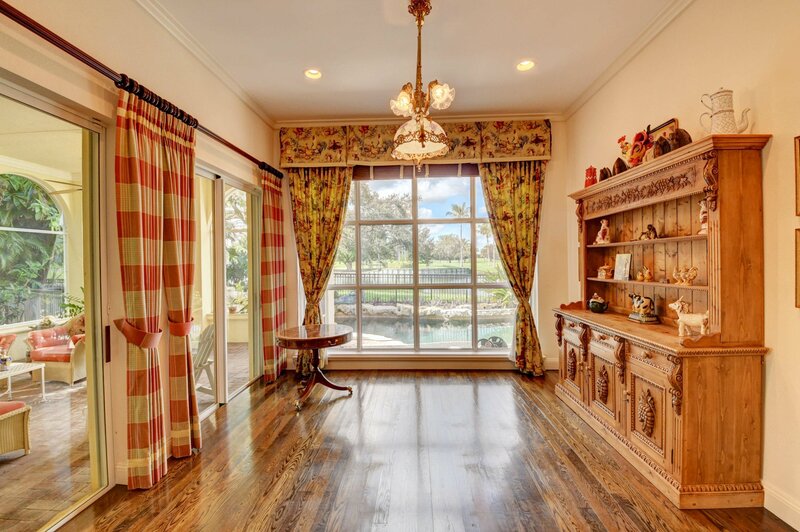 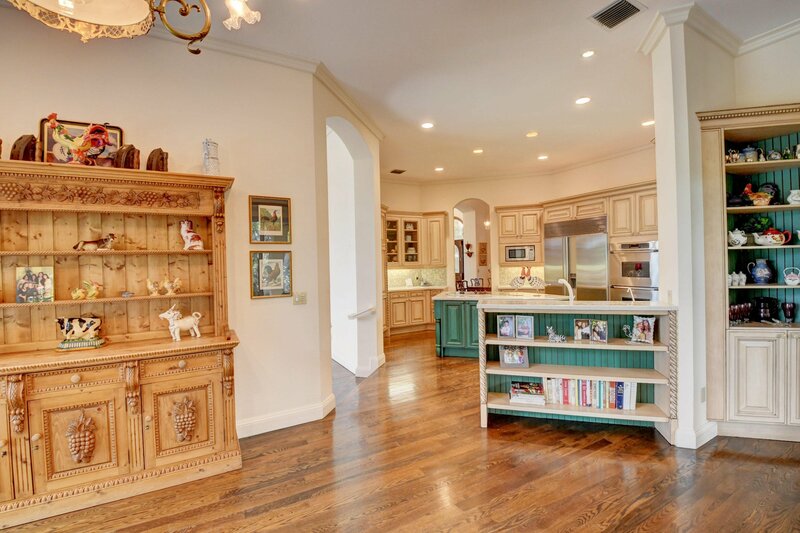 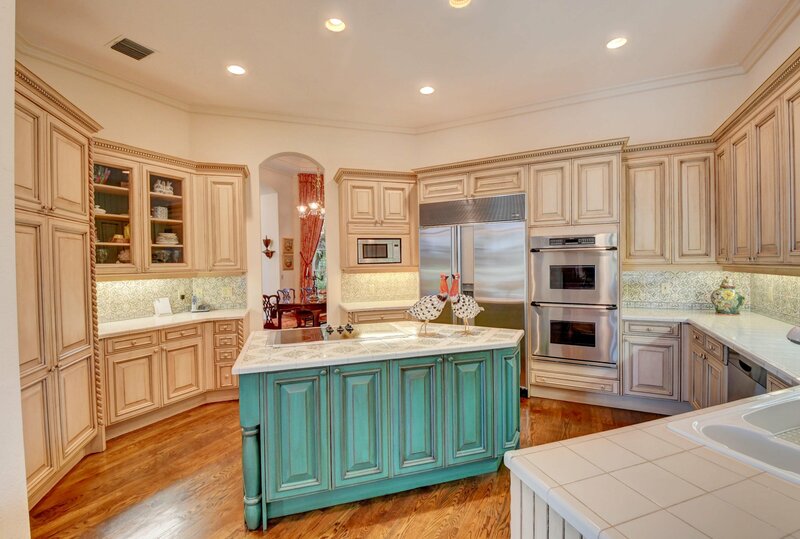 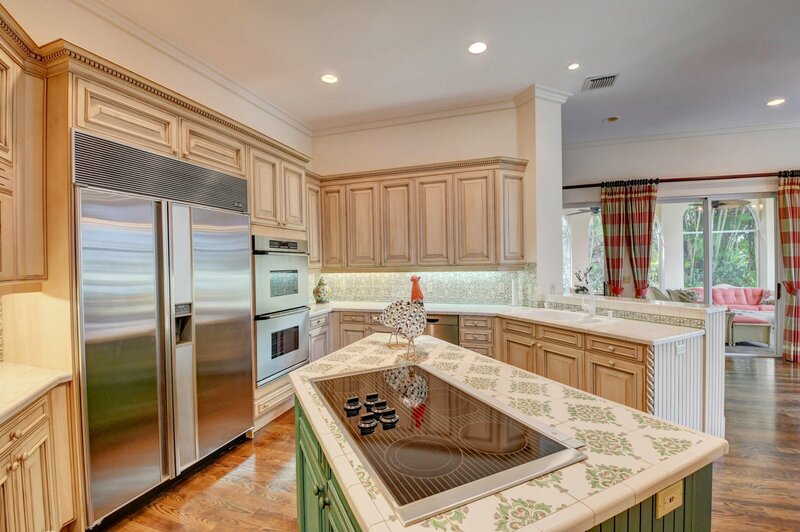 The floor plan is a true entertainer's delight complemented by the wet bar, elegant formal dining room, large eat-in kitchen with plenty of cabinets and pantry, while hallmarked by a huge screened in lanai area complete with summer kitchen, lounging area opening and overlooking the pool. 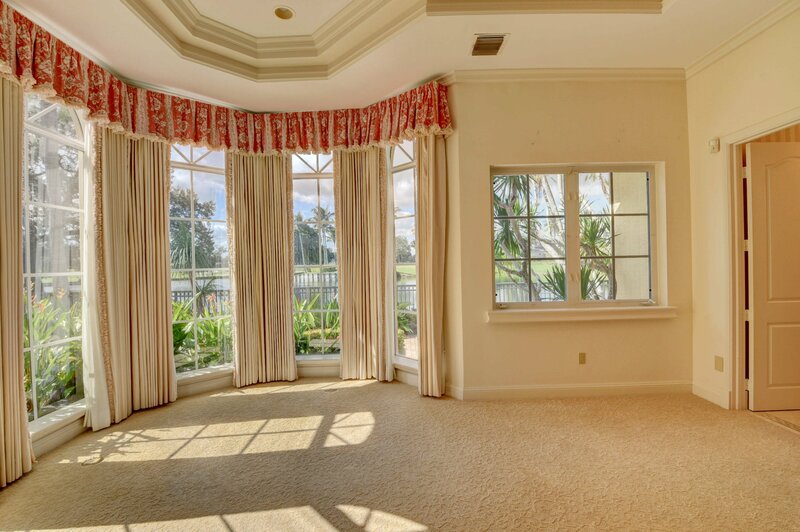 Spaciuos floor plan includes a handsome office or guest bedroom with full bath en suite, and the convenience of first floor master with huge walk-in closet, luxurious master bath. 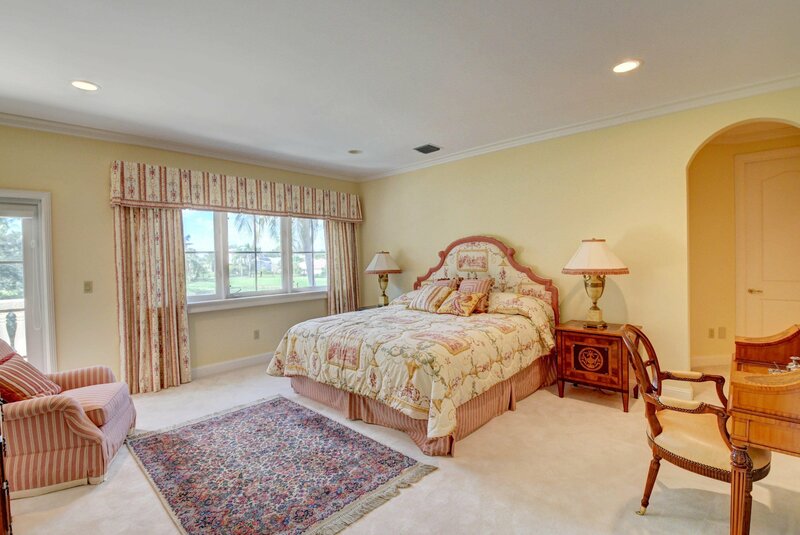 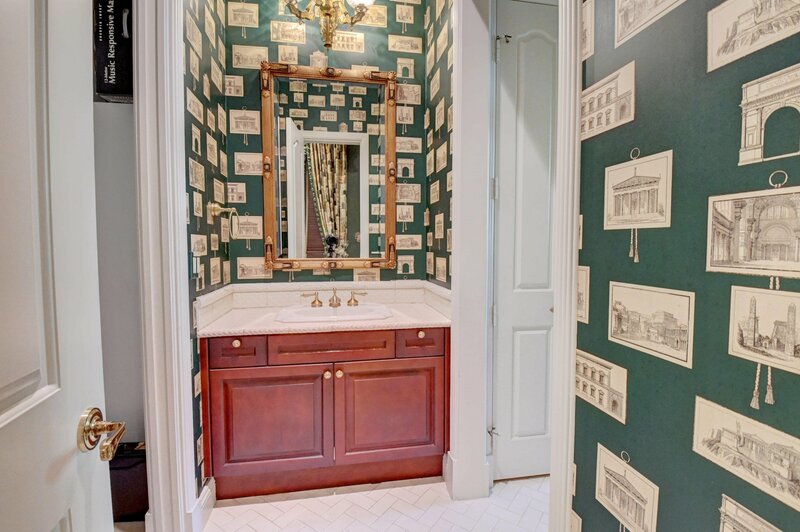 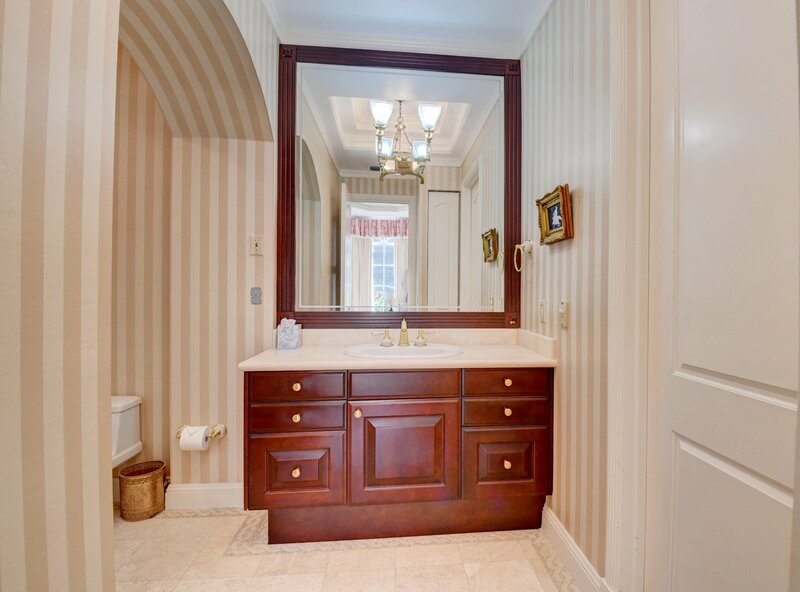 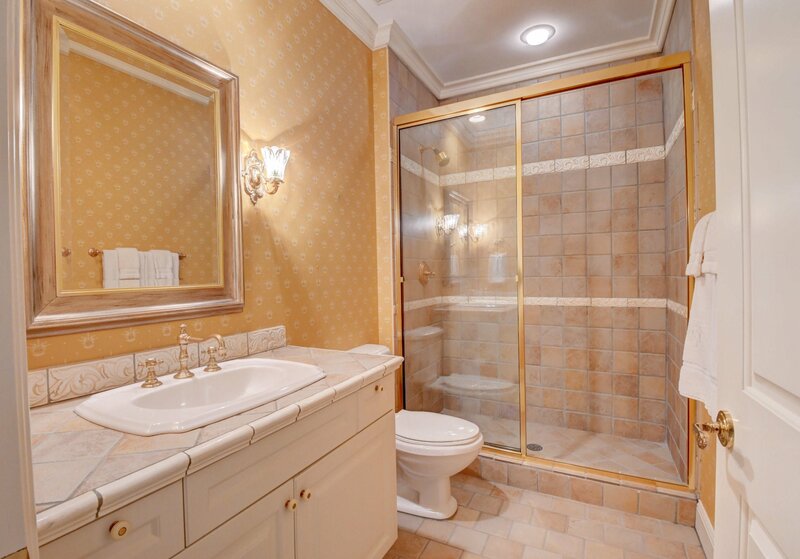 Graciously proportioned bedrooms with romantic balcony while affording privacy for guests. 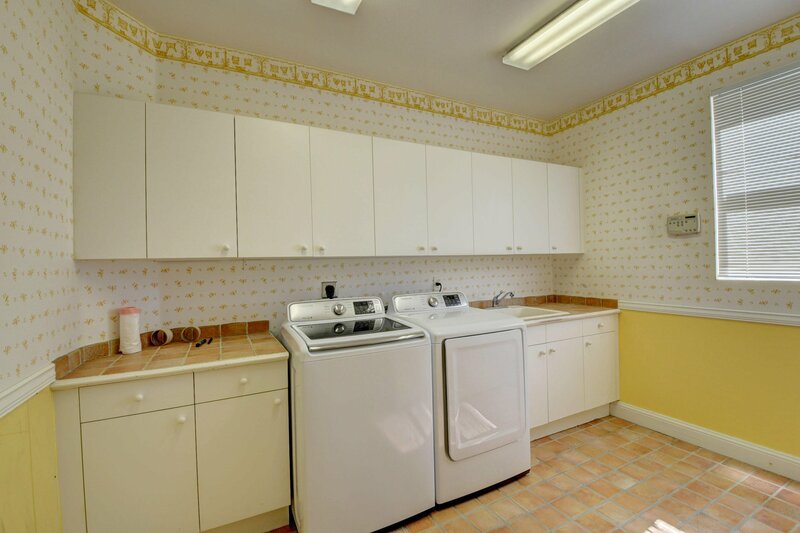 Abundance of storage throughout including a 3 car garage, plus a full house generator. 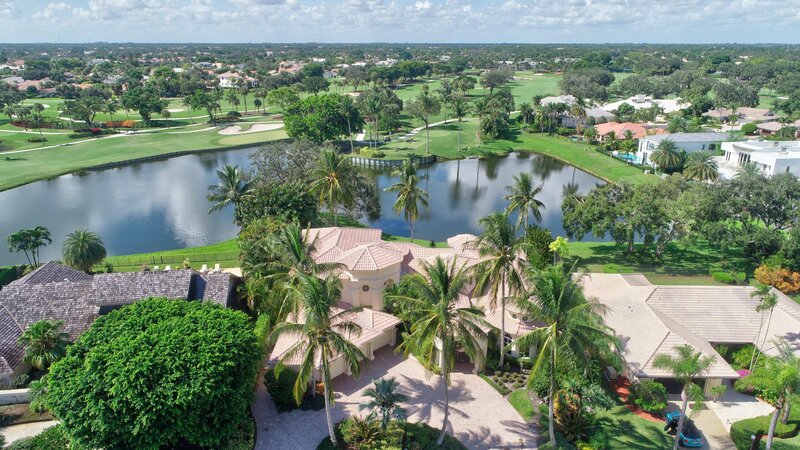 Delaire is a private country club where 323 custom homes are surrounded by a new 27-hole championship golf course with no tee times. 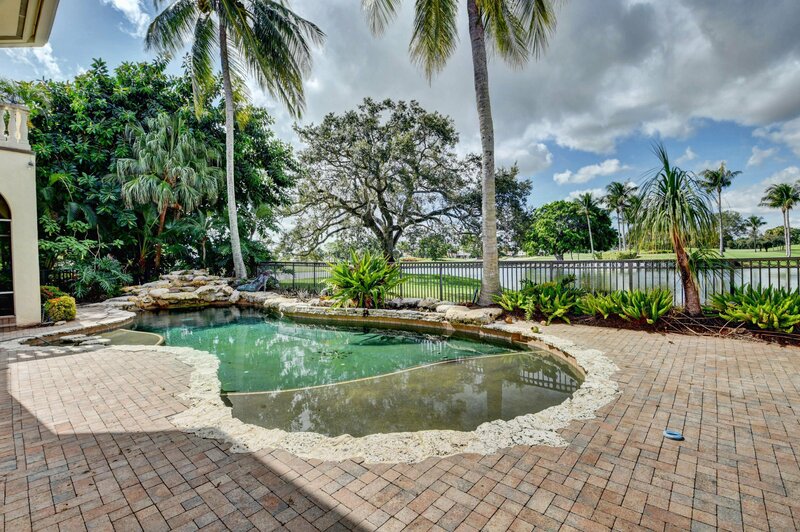 Extended family use of all facilities at no additional charge with the required membership. 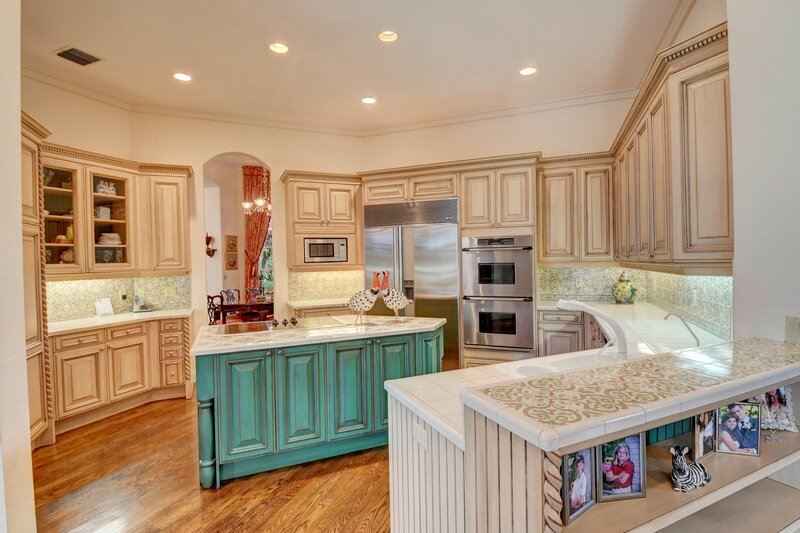 Newly built clubhouse with outstanding culinary cuisine. 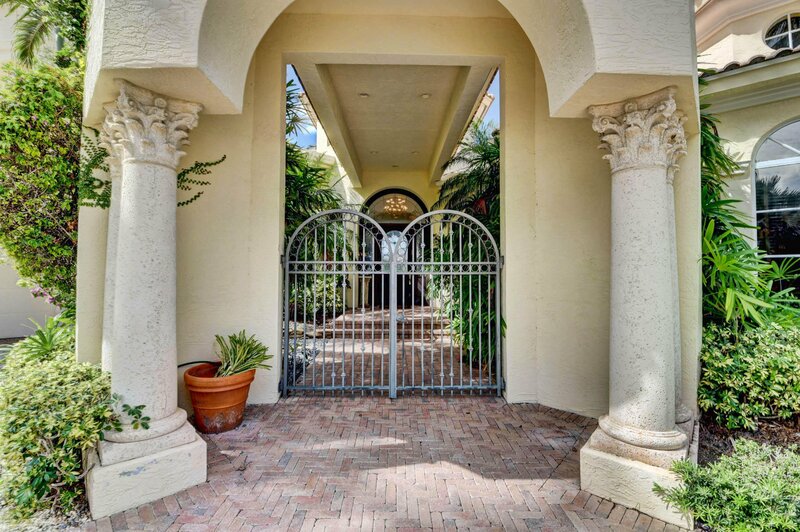 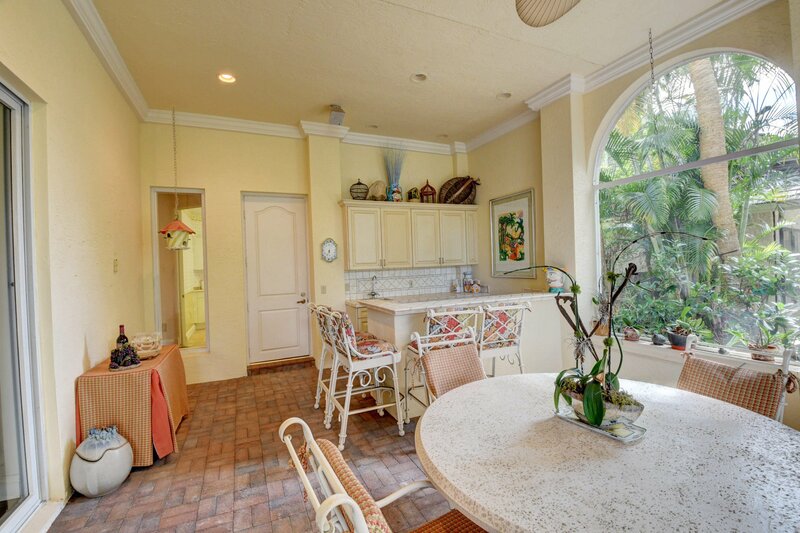 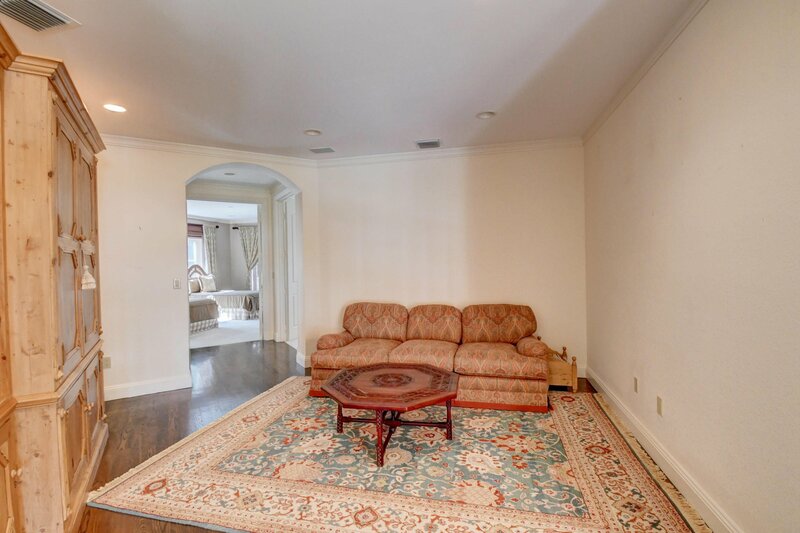 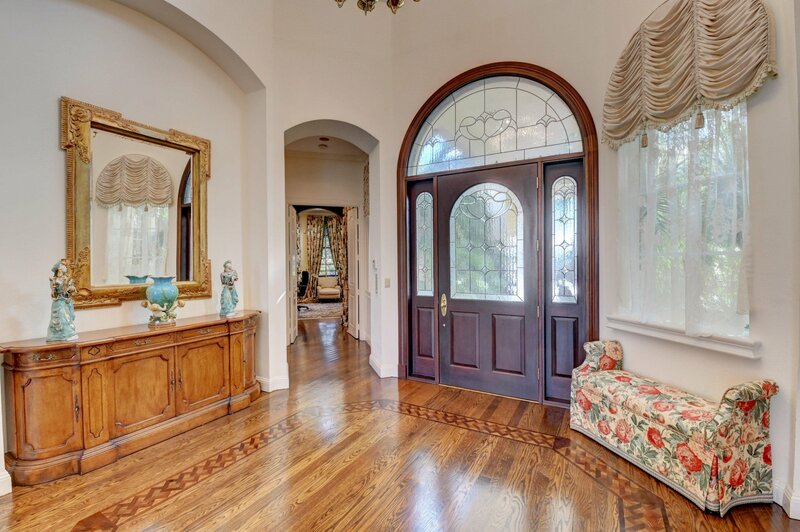 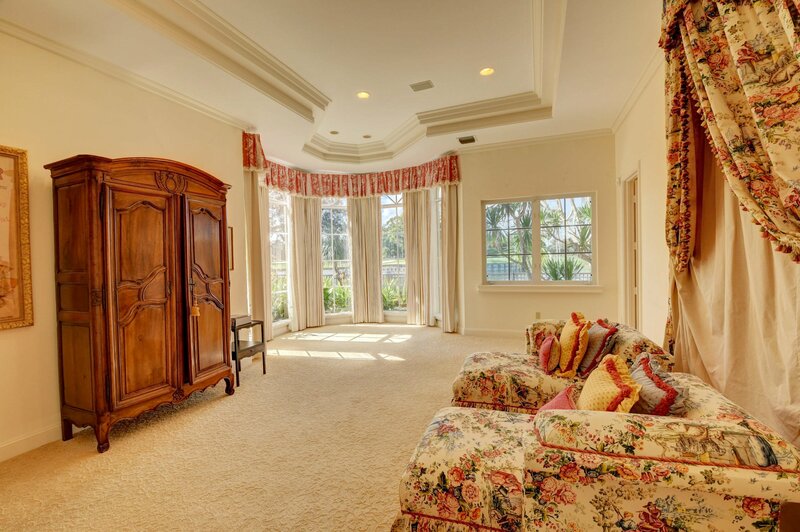 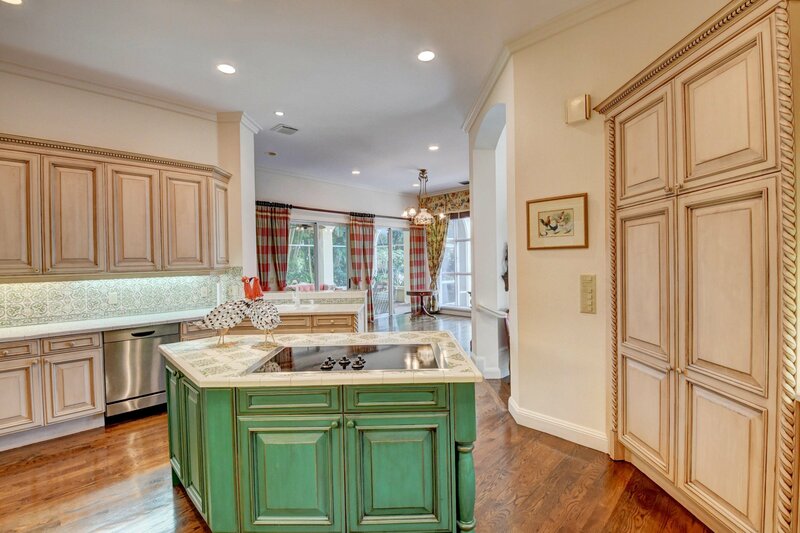 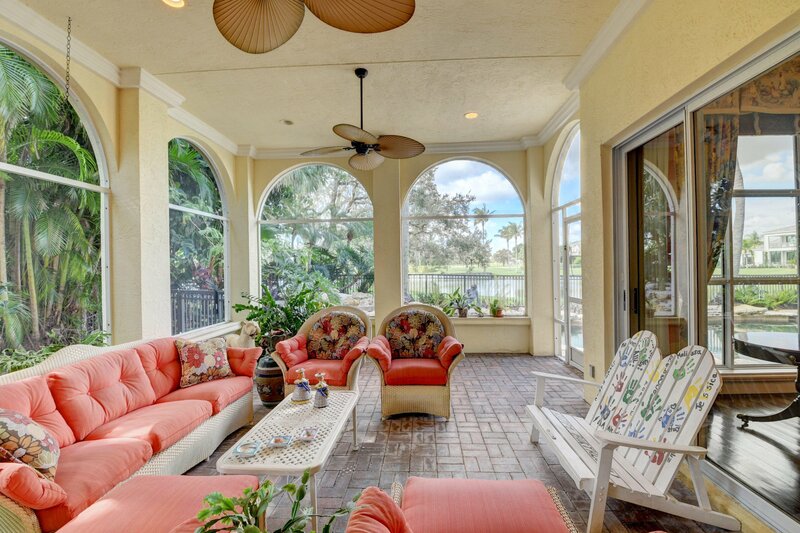 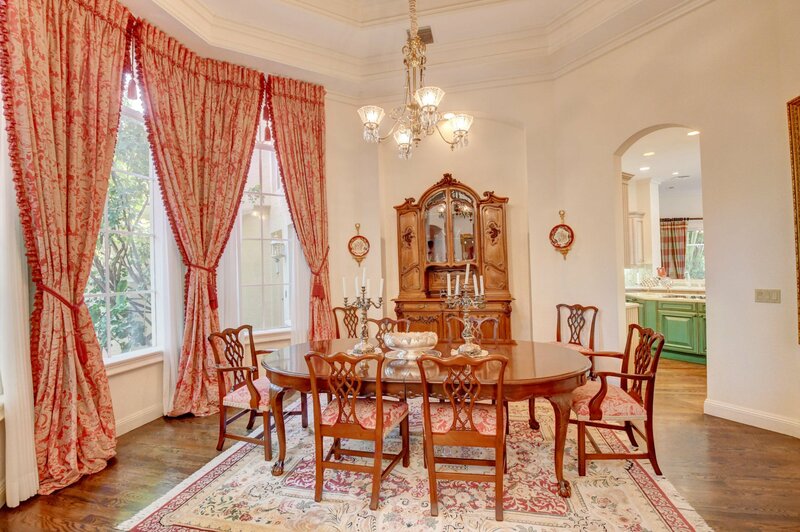 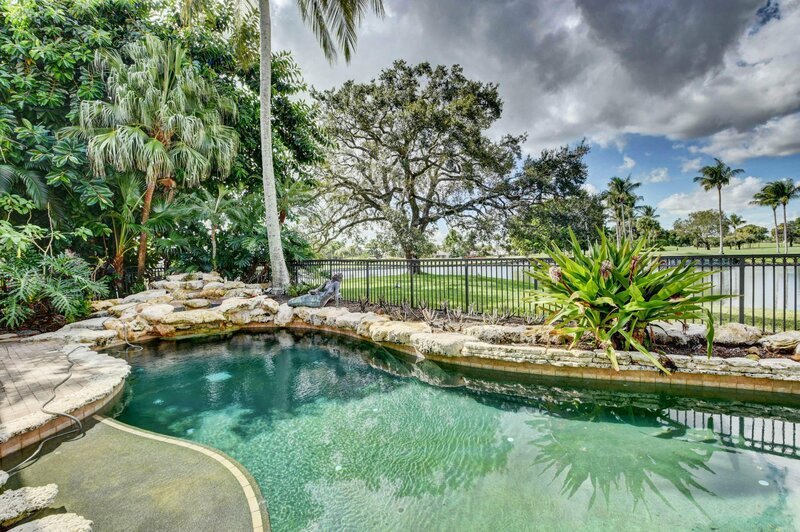 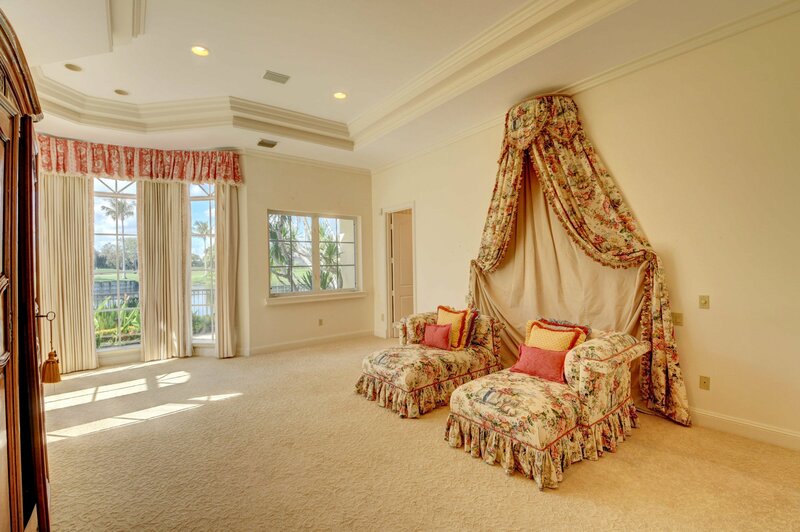 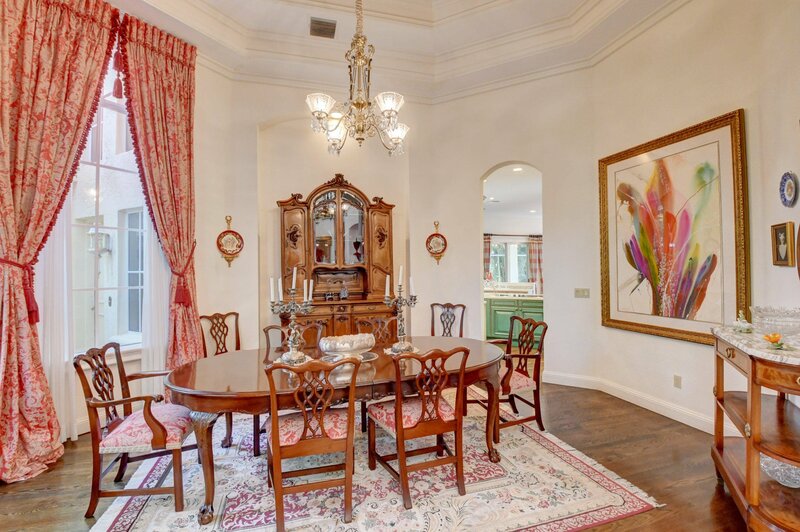 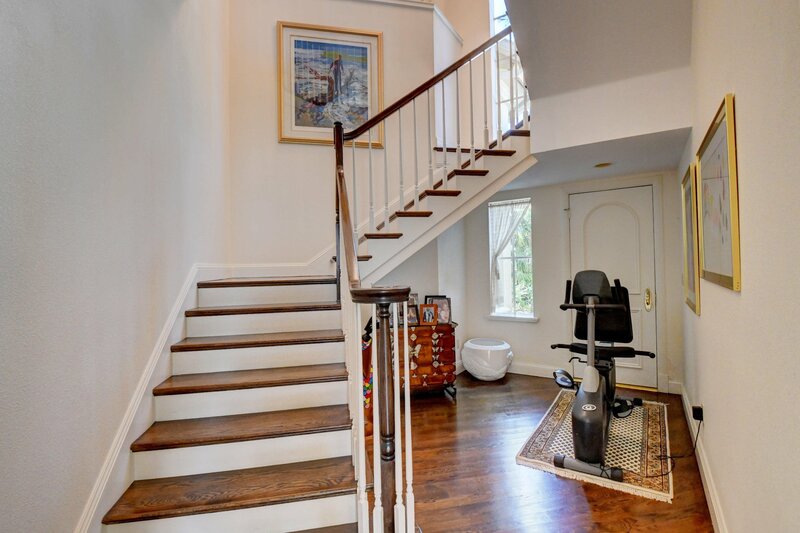 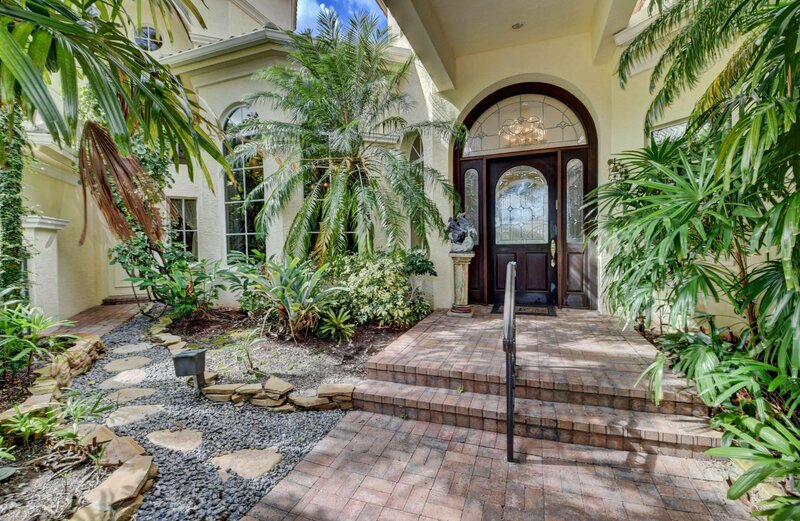 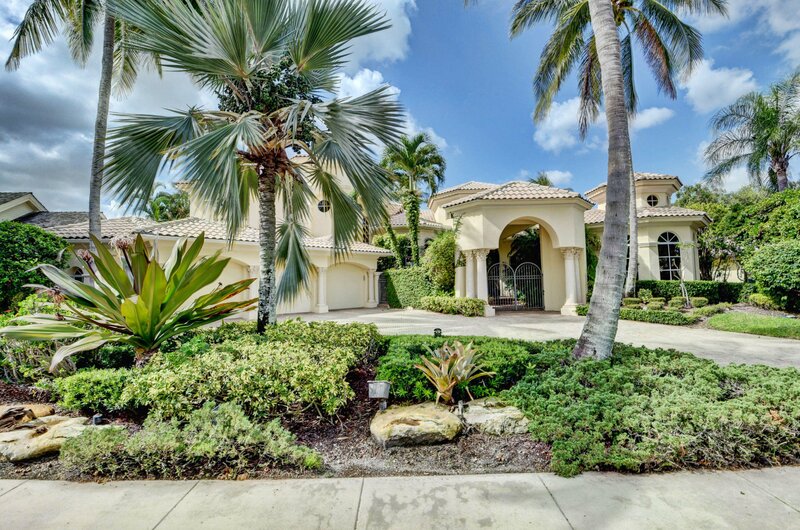 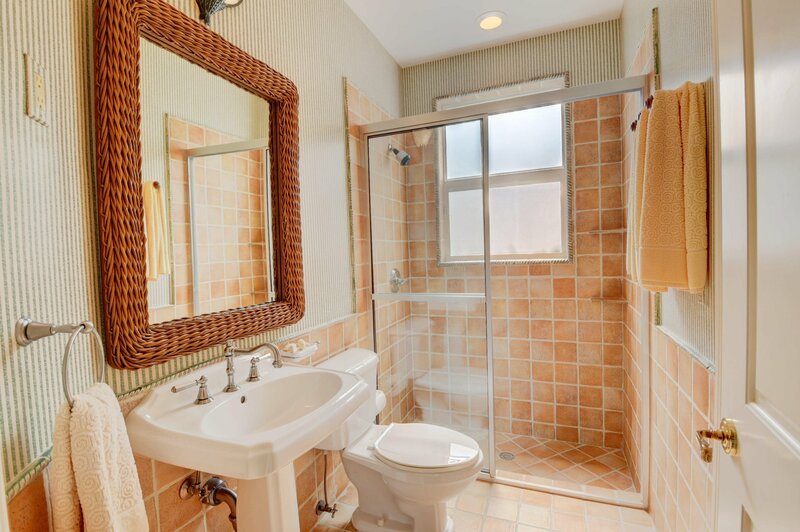 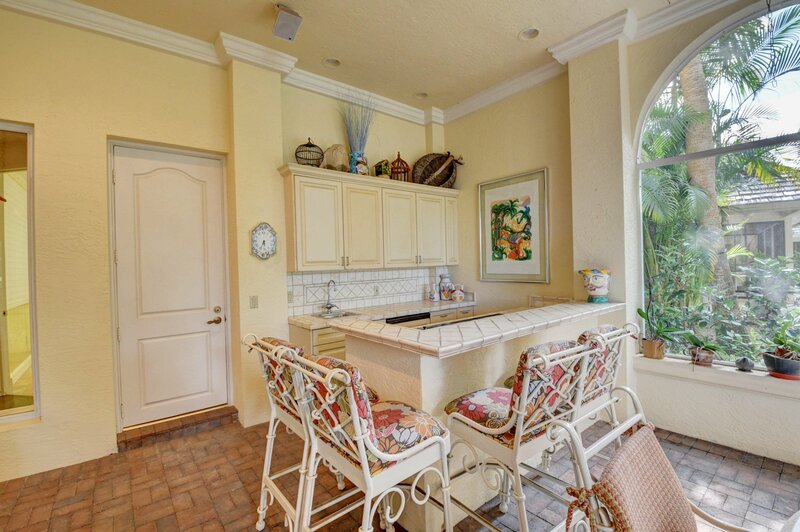 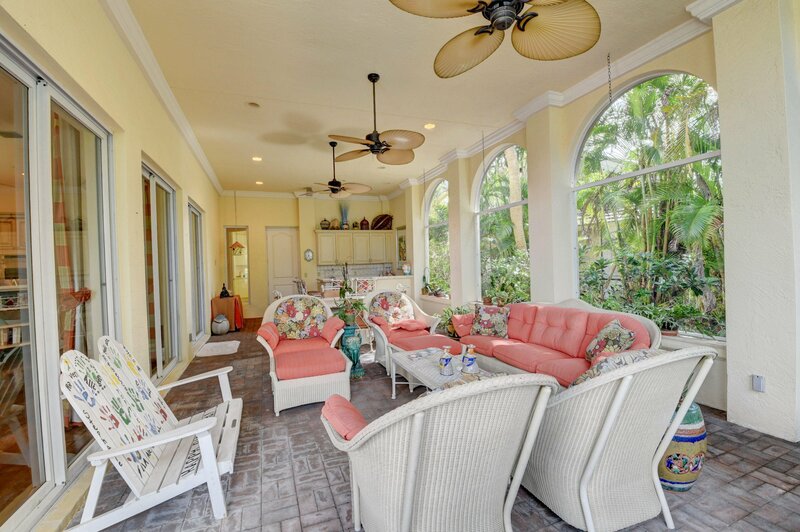 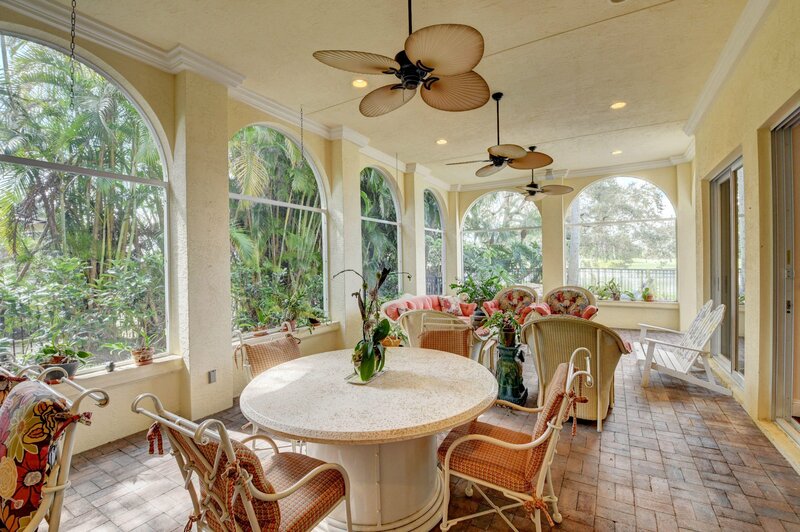 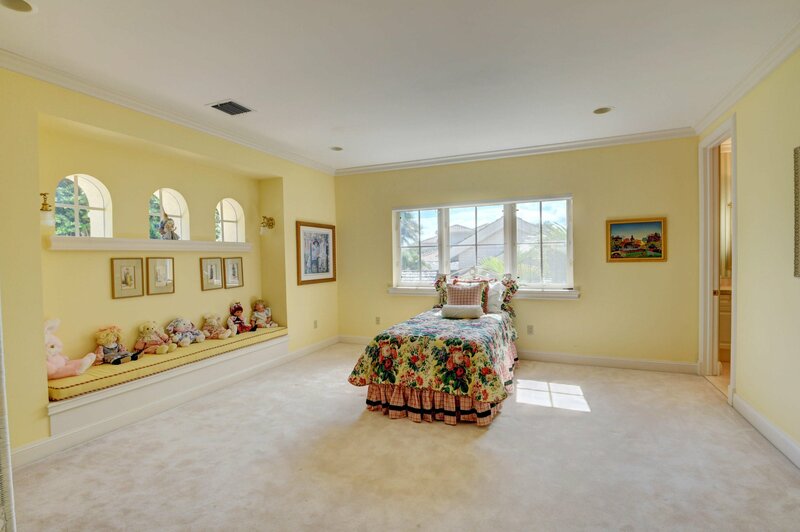 16,000 sq ft fitness center, resort style pool area & 8 Har Tru tennis courts. 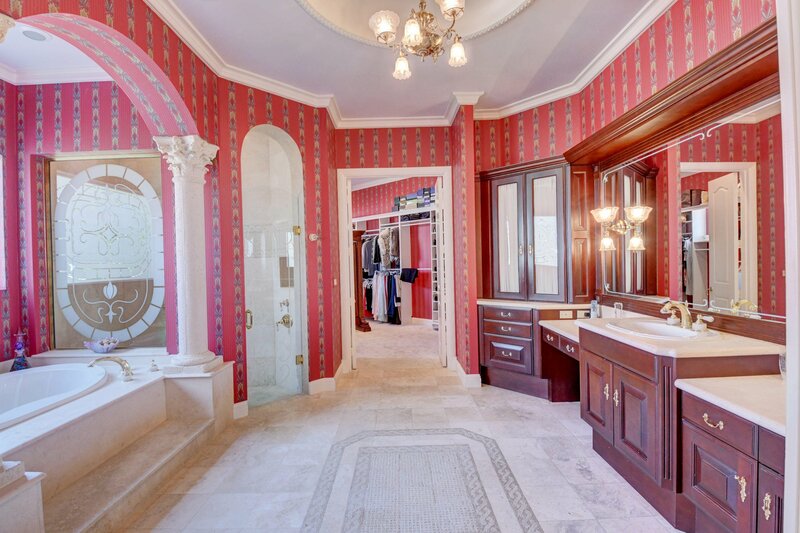 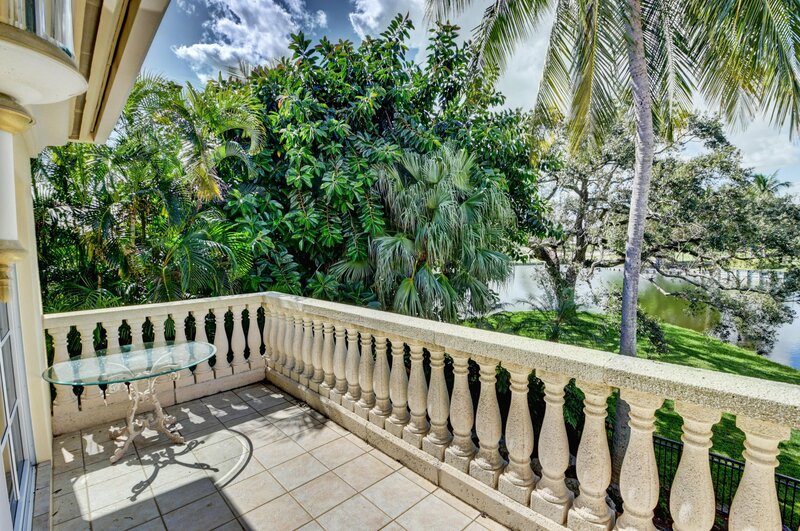 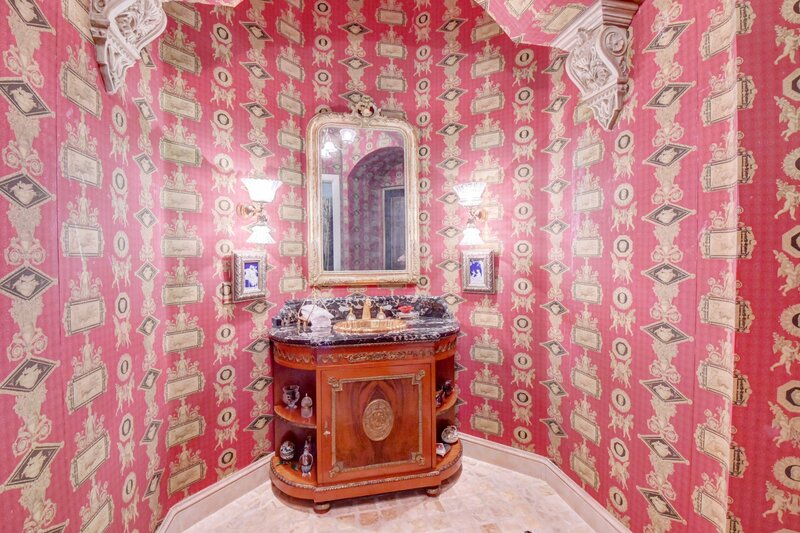 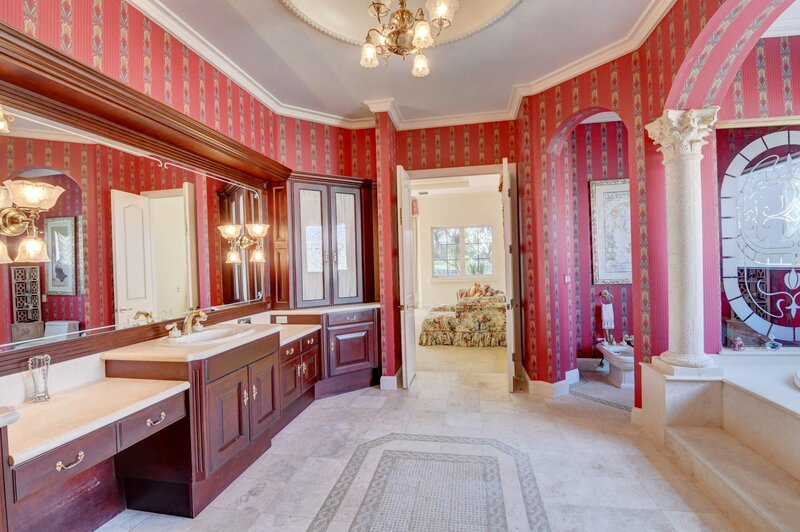 Listing courtesy of Lang Realty/Delray Beach. 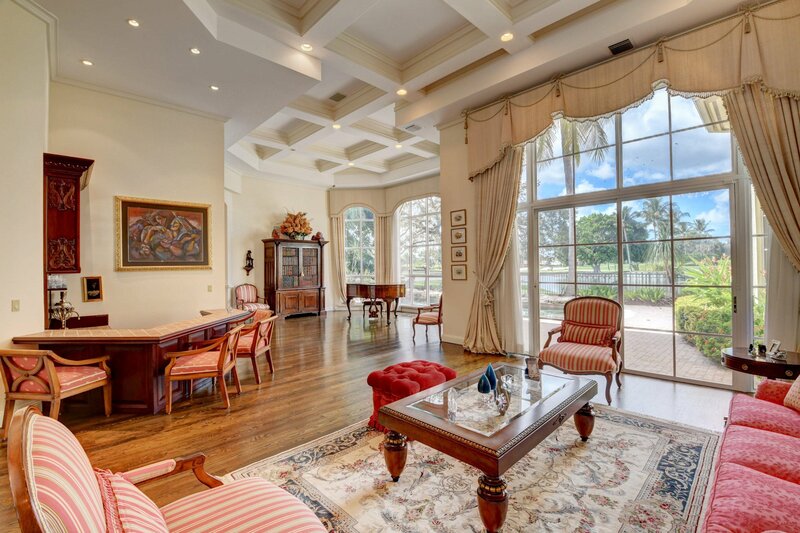 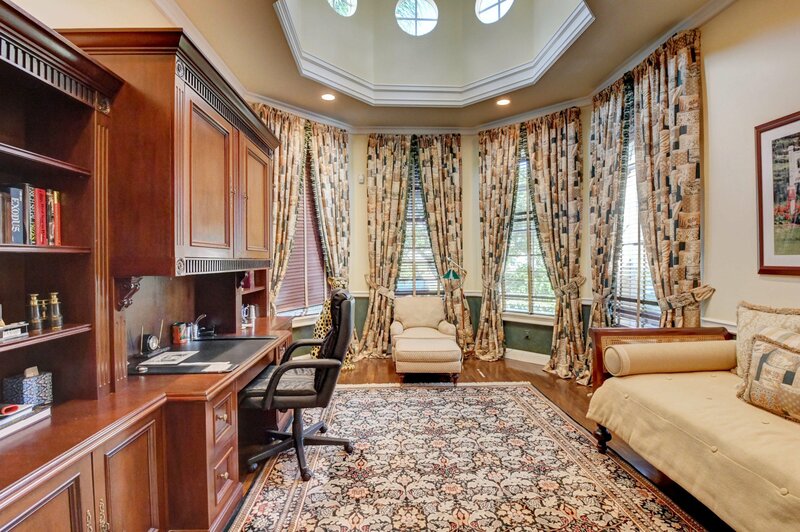 Selling Office: Lang Realty/Delray Beach.